Class of 2019: Several important dates are coming up as we finish the last 9 weeks of your senior year! After Spring Break, on Monday April 22 and Tuesday April 23, Balfour will be here to distribute caps & gowns. If you have already ordered yours, they will be available for pickup during all 4 lunches. At this time, you may also purchase honor stoles for $17 and tassels for $8. All purchases are CASH ONLY. Additionally, we’ll be celebrating our spring sports with a class of 2019 tailgate event. Seniors are invited for a bite to eat and some fun starting at 5pm on Thursday, April 25. Then, take in some Grizzly spring sports action as Baseball, Softball, Soccer and Tennis are all at home with matches that evening. Hope to see you there! Class of 2019: What’s in your future? Let us know what happens next – What college/university are you attending? Have you committed to the military? Or entering a trade school?This information will be used to create a slide show slide to be shown before G-News at school and before the Graduation Ceremony at the Ted Constant Center. 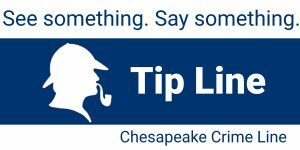 DEADLINE TO SUBMIT THIS INFORMATION IS MONDAY, MAY 6, 2019. Seniors will be invited to a Scholarship Awards Ceremony on May 23rd at 10am in the Grassfield Auditorium. In order to have your name and scholarship displayed correctly in our scholarship program and on the award certificate, you must complete the form below! A separate form must be submitted for EACH SCHOLARSHIP ACCEPTED. Please make note: The information you enter into this form will be displayed in the program and on the certificate, exactly as it is entered here. Proof of scholarship must be submitted to Mrs. Creamer before this form will be processed. Make a copy of your award letter and drop it off in the Main Guidance Office. Please complete this form for each scholarship award! 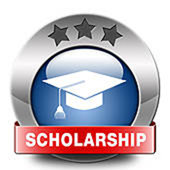 Please use the following link to access to our city wide scholarship database. Check it frequently for new scholarship opportunities that become available. Mid-Year Transcripts are now updated, please request through Parchment if Needed. Please view the instructional transcript sheet (pdf).